College of Southern Idaho (CSI) is a public community college in Twin Falls, Idaho, United States, with off-campus programs in Jerome, Hailey, Burley and Gooding. College of Southern Idaho offers associate of arts, associate of science, associate of applied science degrees and technical certificates in over 115 disciplines. Additional upper-division courses through the University of Idaho, Idaho State University and Boise State University are also offered. Credits transfer from CSI to these other Idaho schools very easily, so transferring is a smooth transition. CSI's enrollment is approximately 7,000 students with an additional 3,000 in non-credit courses. Approximately 85% of the student body is from Idaho's Magic Valley region. The college is governed by a five-member Board of Trustees elected at large by voters in Twin Falls and Jerome Counties. Until the foundation of the College of Western Idaho in 2007, CSI was one of only two comprehensive community colleges in Idaho, along with North Idaho College in Coeur d'Alene. 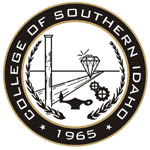 Although proposals for a junior college in southern Idaho were made as early as 1952 and courses were offered at the short-lived Southern Idaho College in Buhl in the early 1960s, it wasn't until the Idaho Legislature passed and Gov. Robert E. Smylie signed the Junior College Act in 1963 that the foundation of what became the College of Southern Idaho began in earnest. In November 1964 voters in Twin Falls County formed a junior college district under the provisions of the Junior College Act. Neighboring Jerome County joined the district in 1965. CSI held its first classes at Twin Falls High School later that year. In 1967 a men's basketball program was founded at CSI by Eddie Sutton, who later became a prominent basketball coach at Kentucky and Oklahoma State. The CSI men's basketball team has consistently been a national contender at the community college level ever since. Home games routinely sell out season after season and rank as one of Twin Falls' main entertainment draws. Since moving to its own campus in 1968, CSI has been one of the fastest-growing colleges in Idaho. It has also become a vital part of the Twin Falls area, both culturally and economically. Despite its continued growth, the college has publicly stated it has no desire to become a four-year university. Major campus buildings are named for the college's first two presidents, James L. Taylor (1965–1982) and Gerald R. Meyerhoeffer (1983–2005). Most CSI students commute from off-campus. A single on-campus residence hall houses approximately 250 students. Approximately 58% of the student body is over the age of 21. College and community activities are regularly held at the College of Southern Idaho Fine Arts Center, the Herrett Center for Arts and Science, and the Eldon Evans Expo Center. Frontier Field hosts a variety of community softball leagues during the summer months. Student government is administered by the Associated Students of CSI which is controlled by a student senate elected from the student body. CSI sponsors approximately 50 student clubs and organizations. The College of Southern Idaho Golden Eagles compete in Region 18 of the National Junior College Athletic Association (NJCAA). As of 2009 CSI has won a total of 11 NJCAA national championships, including titles in women's volleyball, men's basketball and men's baseball. The Golden Eagles rodeo team has won an additional three national championships in the National Intercollegiate Rodeo Association. ^ Bashore, David (2009-11-22). "Golden Again: CSI volleyball claims record ninth national title". magicvalley.com. Times-News. Retrieved 2016-01-07.